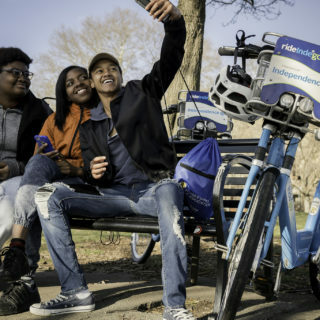 This post is part of our series to introduce Better Bike Share’s 2018-19 grantees. You can see the original post and links to all articles in the series here. Bikes ready for Divvy launch in 2013. Source: Daniel O’Neil via Flickr. 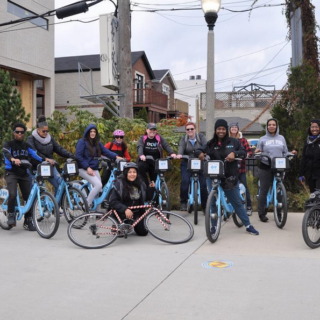 West Town Bikes is no stranger to working with youth. Now, the organization is diving into a project to empower youth ambassadors who live near the 606 Trail. The program brings local youth into the public sphere, and helps them cultivate valuable work skills along the way. The ambassadors range from 16-20 years old. They work for 10 hours a week through a 10 week program. The work picks up from a project where West Town Bikes would hire 14- and 15-year-old youth to be engaged with a weekly health market. Youth bike share ambassadors. Source: West Town Bikes. So what does the day-to-day work of the ambassadors look like on the ground? Turns out the answer can vary. The youth have been spending time at local farmer’s markets promoting the Divvy For Everyone program — a discounted membership option for lower-income residents. Youth hand out flyers, as well as free passes for Divvy. 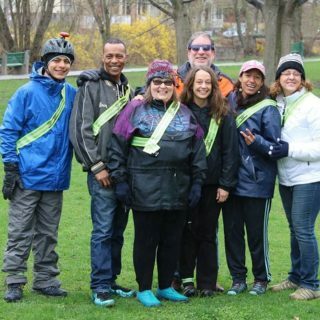 They’ve also been active at a number of other local events, including Tour de Fat, the 606 Bike Club, and Strides for Peace. Some of the youth are learning mechanic skills, while others focus on working the retail side of the business. In this way, the ambassadors can focus on learning the skills that most align with their interests. Of course, there can be challenges in doing outreach work as well — something that every organization who has worked on bike share equity can relate to. Sustainability between grant funding, for instance, is an open question. Another sticking point is that West Town Bikes doesn’t have the authority on their own to sign individuals up for the Divvy for Everyone program. That makes it challenging to get residents connected to bike share at the point in time when they are most excited about it. 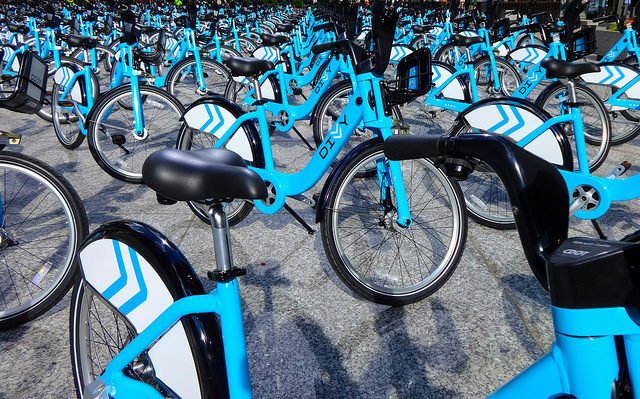 However, the organization has a close relationship with Divvy Bikes, and will continue to work with them to sign up eligible parties. 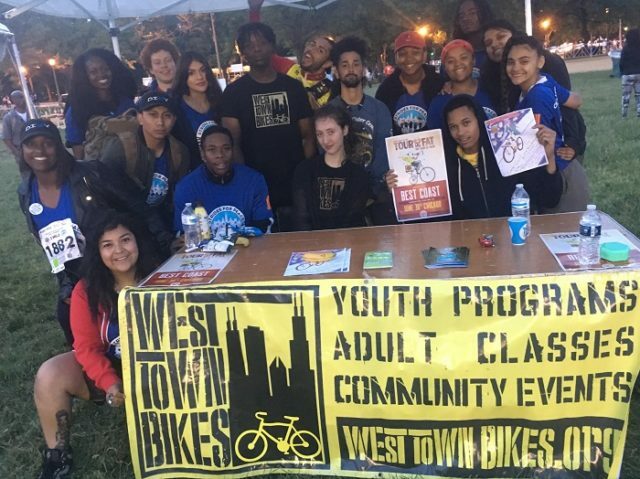 It’s clear that the youth in particular are the center of attention and passion for West Town Bikes. The Better Bike Share Partnership is funded by The JPB Foundation as a collaborative between the City of Philadelphia, the Bicycle Coalition of Greater Philadelphia, the National Association of City Transportation Officials (NACTO) and the PeopleForBikes Foundation to build equitable and replicable bike share systems. Follow us on Facebook, Twitter and Instagram or sign up for our weekly newsletter.